Mom’s Barbecue Sauce | "Il faut goûter"
There are some dishes that will always taste like home. They are lifelong staples that your mother always made and that you always get giddy at the opportunity to devour. One of these recipes for me is barbecued chicken made with my mom’s homemade barbecue sauce, which I recently discovered was her mom’s barbecue sauce recipe. 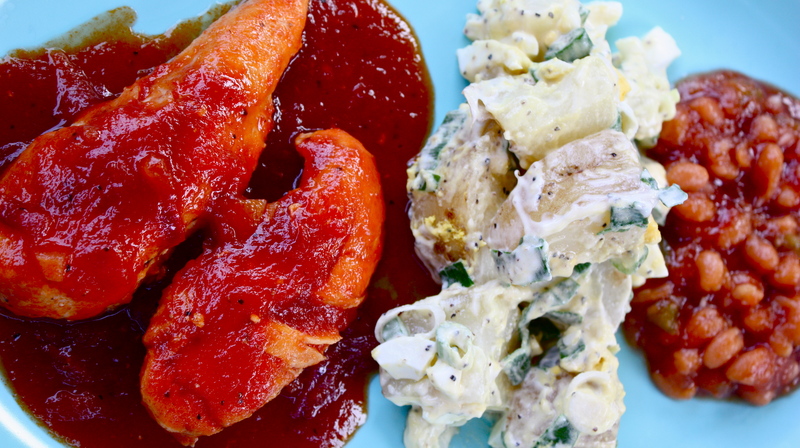 It’s simple: chicken tenders covered in a delicious bold sauce: a basic tomato (ketchup)-based barbecue sauce, both sweet and tangy, bursting with its very particular flavor. For me, that flavor is nostalgic. Adding anything else would change that familiar taste and create a new dish my tongue could not connect to all the times I’ve enjoyed it with my family. But it certainly could be made more spicy or smoky. Peppers, herbs and spices, or liquors such as whiskey or even red wine would be a nice addition. I’ll probably tweak this and make my own signature barbecue sauce one day. But for now, here’s the basic. And the basic is delicious. Thanks Mom and Mama. In a pot, sauté the onion in butter until soft. Add all other ingredients and simmer 10 minutes or so, until slightly thickened. In an oven-safe dish, pour this sauce over cooked (grilled, baked, or fried) chicken pieces of your choice. Bake at 350 degrees until hot and bubbly. 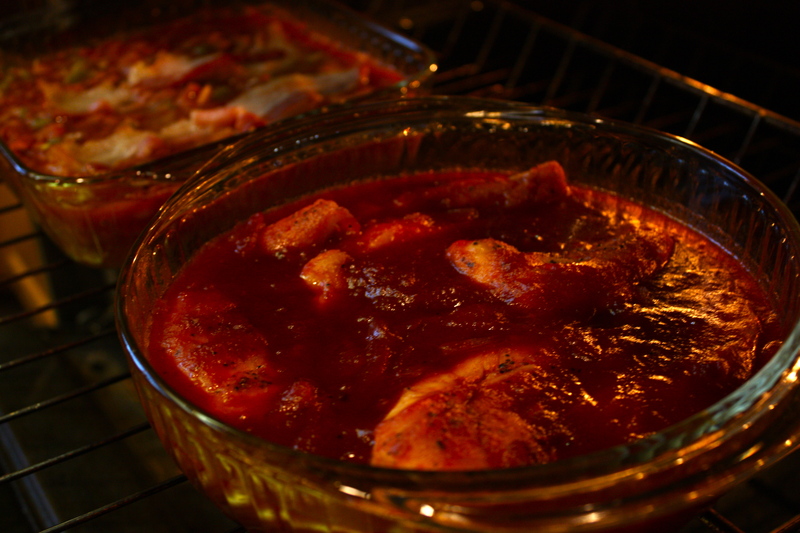 *For enough chicken for a family of 5, Mom usually doubles or nearly doubles this recipe. This entry was posted in Uncategorized and tagged barbecue, barbecue chicken, barbecue sauce, nostalgic, nostalgic recipe by needtotaste. Bookmark the permalink.